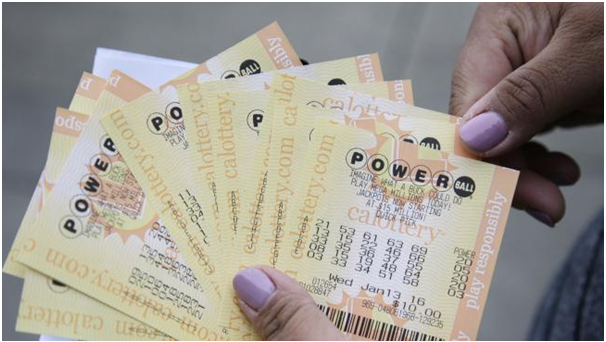 Did you know that playing lottery games has long been part of human history, at least since one of the earliest lotteries was held by Moses to assign land west of the River Jordan. In the modern world, the revenue received from lotteries has historically been used for ‘good causes’. In Massachusetts and Pennsylvania in the eighteenth century funds received from lotteries were used to protect the coastline from the French, and to build colleges like Yale, Harvard and Princeton and also to construct churches. With the start of Australian lottery in Sydney and as there were no poker machines, the state government of Victoria awarded Tattersall’s the right to conduct a weekly lottery to raise additional revenue to complement the health system. From that day onwards weekly day Lotto was introduced. 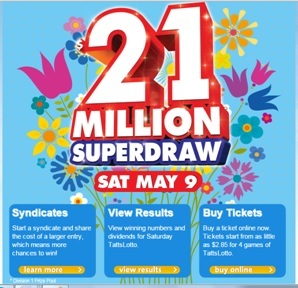 TattsLotto from Tatts Group is a weekly lottery game played on Saturday nights in Australia. The first TattsLotto draw was televised by Melbourne television station HSV7 on 22 June 1972. The aim of TattsLotto is to match as many winning numbers drawn from the barrel as possible with the numbers in a single game on your ticket. The TattsLotto game has forty-five balls numbered 1 to 45 from which eight are randomly selected. Draws take place every Saturday at 8.30pm and the first six balls drawn are the “winning numbers” and the last two drawn are the “supplementary numbers”. You win if you match the right combination of winning and supplementary numbers with your entry. 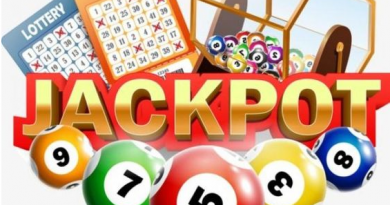 Australian Tattslotto offers a guaranteed Division One prize pool of $4 million – a far cry from the top prize of $50,000 when it began in 1972. It took a while for lottery games to catch on, but when Superdraws were introduced, more and more Australians embraced the game. The popularity of Australian Tattslotto has also led to the launch of a number of new games. Playing TattsLotto gives you the chance to make you a millionaire each Saturday. An estimated $4 Million Division 1 prize pool each Saturday as well as Superdraws of up to and over $20 Million throughout the year. TattsLotto also offers you the chance to play and win $30 Million or more in the special Mega-draw held during Christmas/New Year period. In Saturday Lotto, players are required to choose six numbers between 1 and 45. Players can pick their numbers in several ways: they may choose to select their own, or have the lottery machine give them a Quick Pick with random numbers, or use one of the number selection games available on Oz Lotteries – such as Ball Wars, an arcade-style video game reminiscent of Galaga Galaxian or Space Invaders. In TattsLotto you have to match as many winning numbers drawn from the barrel as possible with the numbers in a single game on your ticket. You can play QuickPicks if you are playing lotto for the first time because your numbers are generated at random for you. QuickPicks are available in the following sizes: Regular QuickPick – 12 Games, Super QuickPick – 18 Games, Mega QuickPick – 24 Games, Jumbo QuickPick – 36 Games and Maxi QuickPick – 50 Games. 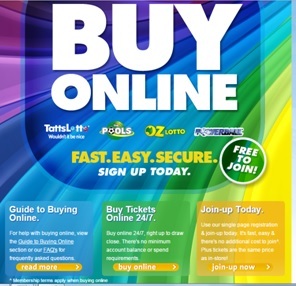 Mark your numbers on TattsLotto coupon at your local Tatts Outlet or select your numbers when you Tattslotto online. Mark 6 numbers in each game panel and play 4 – 18 game panels. When playing a Standard, System or Pick Entry, if you have marked only a few game panels and want to play a bigger entry, ask for a Top Up. The remaining game panels are quickpicked for you as standard games up to 9 (game option for OZ Lotto only), 12, 18, 24, 36 or 50 games. Let your Retailer know how many games you want to top up to or, if you are purchasing online, you can select the ‘quickpick row’ or ‘quickpick un-filled games’ options to Top Up a Standard, System or Pick Entry. If you’re away and don’t want to miss getting your entry in, play a Multi-week entry. It allows you to play the same numbers in your favorite game for 2 to 10 weeks at a time. Also can try TattsLotto Super-draw Entries for specific draws that are available up to 10 weeks prior to any lotto draw date. Winning is always exciting! The win may be of any amount that can prove a player to be lucky. Prize values can range from a few dollars to a few million dollars so there are a number of ways to claim your prize. The Saturday Lotto jackpot is worth an estimated AUD $4 million each week. The notable exception is the Saturday Lotto Superdraw, which is held several times a year and can offer cash jackpots of up to $30,000,000. 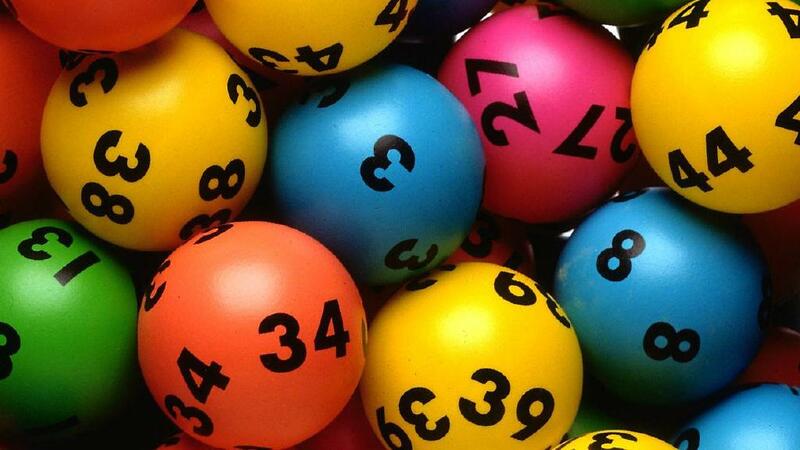 When it comes time for the draw at 8:30pm AEST every Saturday night, eight numbers are chosen from a barrel containing 45 balls (one for each number that could potentially be drawn). The first six numbers drawn are the official winning numbers for that week’s draw, while the final two are considered supplementary numbers. These extra balls do not count towards the Saturday Lotto jackpot, but can help players win lesser prizes. With huge nationwide participation and shorter Division One odds than either Powerball or Oz Lotto, there are normally multiple jackpot winners in every TattsLotto draw. In the rare event that there is no first division winner, however, the top prize will roll over and increase to $8 million the following week. Prizes less than $1,500 and Lucky Lotteries free tickets may be claimed at any Tatts Outlet in Victoria and Tasmania provided that the entry was purchased in one of these jurisdictions. Tickets purchased in the Northern Territory with prizes less than $1,500 and Lucky Lotteries free tickets may be claimed at any Tatts Outlet in the Northern Territory. 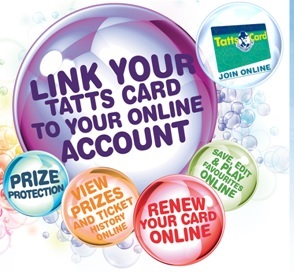 For Tatts Card members it’s easy to check if you’ve won a prize. Have your card scanned in-store at a Tatts Outlet and the lottery terminal will let you know if you have any unclaimed prizes. Download and complete the Prize Claim Form and include this in an envelope together with the ORIGINAL winning lottery ticket/s and/or syndicate share, remembering to write your name and address on the back of the ticket/s and keep copies for your own records. First division prizes are only available for payment from the first business day two weeks following the draw. All lower division prizes are available the next day. For claiming of prizes more than six months of draw date : Tickets purchased in Victoria should be forwarded directly to the State Revenue Office. To make a claim write your name and address on the back of the original ticket and send the ticket to: State Revenue Office Unclaimed Moneys GPO Box 1641 Melbourne VIC 3001; Prizes that remain unclaimed after six months from the draw date from tickets purchased in Tasmania, please contact Tatts Customer Service; For Northern Territory Prizes that remain unclaimed after six months from the draw date can be claimed by completing the Prize Claim Form and following the mailing instructions. and prizes must be claimed within 3 years from the date of the draw. MELBOURNE VIC 3000 between 8.30am – 4.30pm, Monday to Friday OR Call Tatts Customer Service on 131 868 during business hours: 8am – 5pm: Monday to Saturday and 8am – 2pm: Sunday. You should be 18+ and resident of a Australian or International jurisdiction. Deposit when convenient and make online purchases whenever you wish. There are no minimum account balance or spend requirements and tickets are the same price as a Tatts outlet. And once you’ve registered, you’ll receive a welcome email with your member log-in details. You can buy a QuickPick in less than 60 seconds if you have funds in your lotto account. Or buy using a web enabled mobile phone and receive an email copy of your ticket. You can transfer funds by BPay via your bank, or ‘on the go’ with Visa or MasterCard through secure payment gateway. If you win from an online purchase and you will automatically be informed by email. Also your prize money will be directly deposited into your lotto account. All the helpful information you need is available online. Or you can email or call for assistance. For internet purchasing, you must be a resident of VIC, ACT, NT, TAS or selected international jurisdictions and be over the age of 18. Plus, you will be required to confirm identity before you can withdraw any funds from your account. Tatts Card is a membership card that gives you many benefits when you link it online with your account. You can view your retail and online ticket history, as well as your prize history and even view your unclaimed prizes. You can also check each of your tickets with the “Results Overlay” function. Favourites are a great way to save and play your special numbers and you can save up to 50 sets of Favourites. You can play a Favourite anytime you hand your Tatts Card to your local Tatts retailer. Plus if you have a Tatts Card linked to an online lottery account, you can save, play and even edit your Favourites online. You can also pay your Tatts Card membership fees online. You can pay your membership fees for 1, 2, 3 or 5 years. Or you can pick up an application form in-store at Tatts oulet. Tatts Cards are delivered to you within 21 days of joining and all cards come with a convenient key ring card that works like a Tatts Card.